How much time do you spend on stretching exercises? How much time do you spend complaining about muscles pain? Sports Massage Leeds about Back Pain. From the beginning of our life we are always told about importance of correct sitting position, but more we are told the less we think about it. 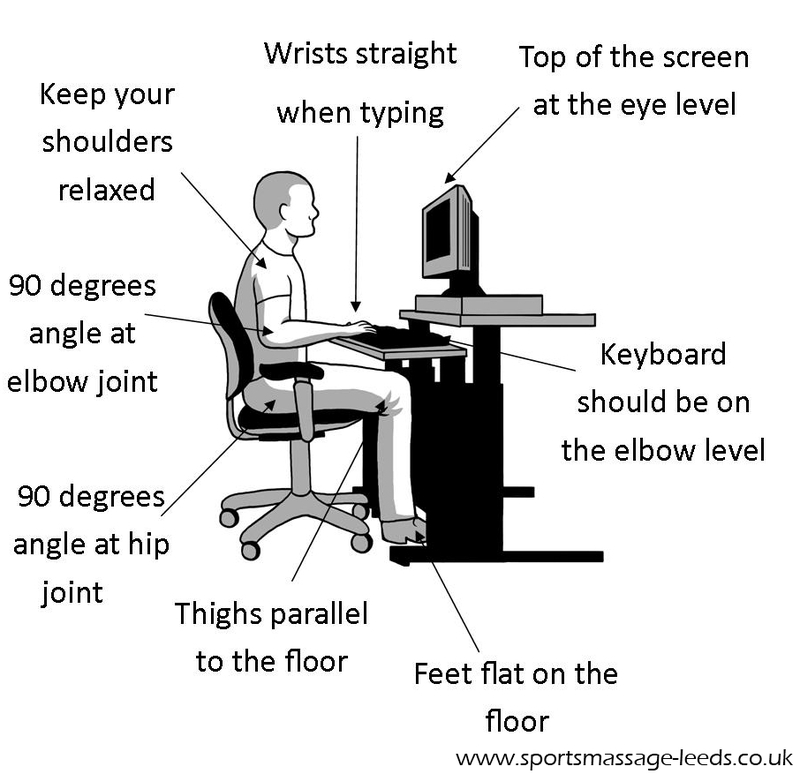 Bad posture and constant back pain may be result of incorrect sitting position. Please have a look at this picture and compare it to your position at the moment. PRINT OUT THIS PICTURE AND STICK IT UP ON THE WALL ON FRONT OF YOUR DESK. It will remind you correct sitting position every time you look at it.